Free download Windows Essentials 2012, previously known as Windows Live Essentials. It is a suite of some free programs for your PC. Windows Essentials 2012 works with Windows OS and makes it easy to organize your e-mail, write articles for your blog, improve and share your movies and much more. Windows Essentials 2012 has some free programs in its pack which are Windows Live Messenger, Photo Gallery, Mail, Writer, Movie Maker and Family Safety. You can choose option before installing Windows Essentials 2012 which is called custom installation. This allows you to skip all unnecessary programs from this pack. For example, if you want to install only messenger, then uncheck all other programs from custom installation option and proceed to next. This will save your time for installation this program. The only drawback of Windows Essentials 2012 pack is that it takes some time to install and some space more than 100 MB. Windows Essentials 2012 is required internet connection to install it. During installation, you can check the percentage of installation with installing program name below. 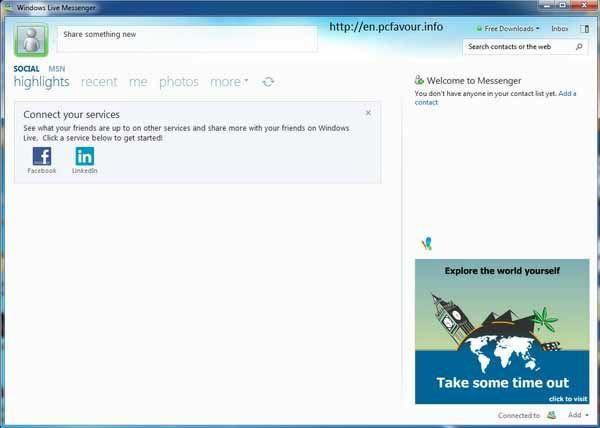 Using messenger from Windows Essentials 2012, you can chat your all friends even if they do not have live email address. This messenger allows you to add any email address such as Yahoo, Gmail, Hotmail and even any domain specific email address. If you want to login to this messenger, you must have Live, Hotmail, outlook or any domain specific email address setup with live. Photo Gallery helps you to manage your photos from your computer and then you can share all online. Mail function allows you to manage all your email accounts at same place even when you are offline. The mail service requires server setting such as POP or you can select Hotmail server option if you have an account with hotmail or live. Windows Live Mail will automatically synchronize your mail account and then you can see your emails within this Windows Live Mail.